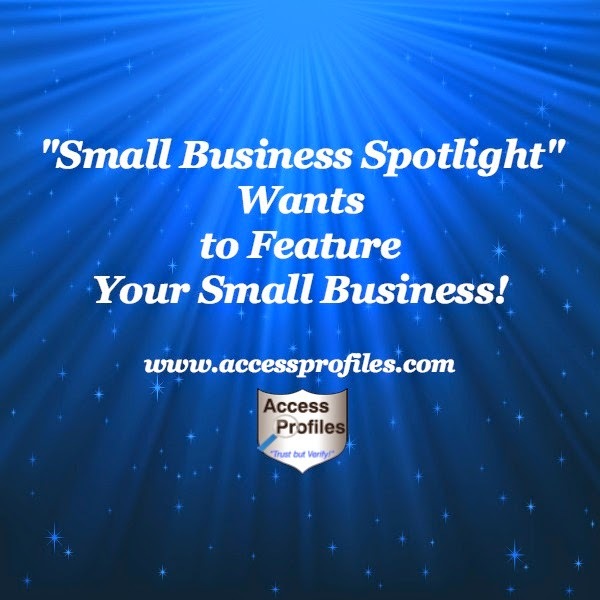 Access Profiles, Inc.: "Small Business Spotlight" Wants to Feature Your Small Business! "Small Business Spotlight" Wants to Feature Your Small Business! 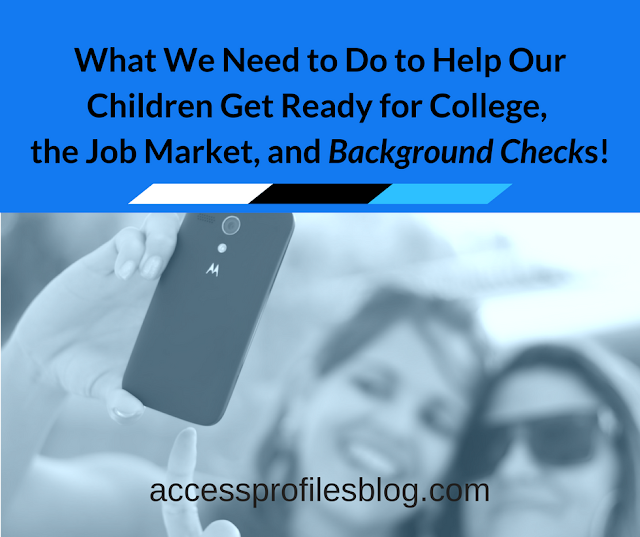 I am once again Calling all Small Businesses! I would love to Feature YOU in my ongoing series, "Small Business Spotlight"! 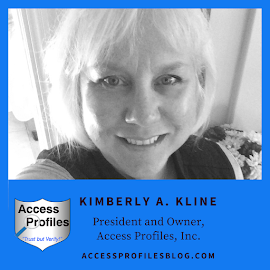 My goal is to promote Small Business by highlighting a different company, both in my blog and in my online paper, Access Profiles Weekly! I will also post your article on my social sites. Every "Small Business Spotlight" article is designed as an Introduction to the featured Business. If you choose to have your company featured, I will include a spotlight of what your business has to offer and provide a little background on how you got started. Your article would also include links to your business website and other social media pages. By sharing this series, I hope to give my readers a chance to find out a little more about your Small Business and generate interest in “Shopping Small”. It is also a great way for me to help "Pay it Forward"! I believe there is a renewed focus on Small Business and I want to keep the momentum going! If you are interested in this opportunity to promote your Small Business, I invite you to contact me at through this blog or at accessprofiles2@comcast.net. There is no charge for this. It is simply my way of "paying it forward" and helping other Small Business owners get recognized. To check out previous articles in the Small Business Spotlight series (and to get an idea of what kind of information I highlight), please visit my blog (and why not leave your email while you are there so you won't miss an article!). I also share information of interest to Small Business on my Facebook page and website, www.accessprofiles.com! Thanks, and I hope to get the chance to help promote Your Small Business! Do “Nice” People Really Finish Last? 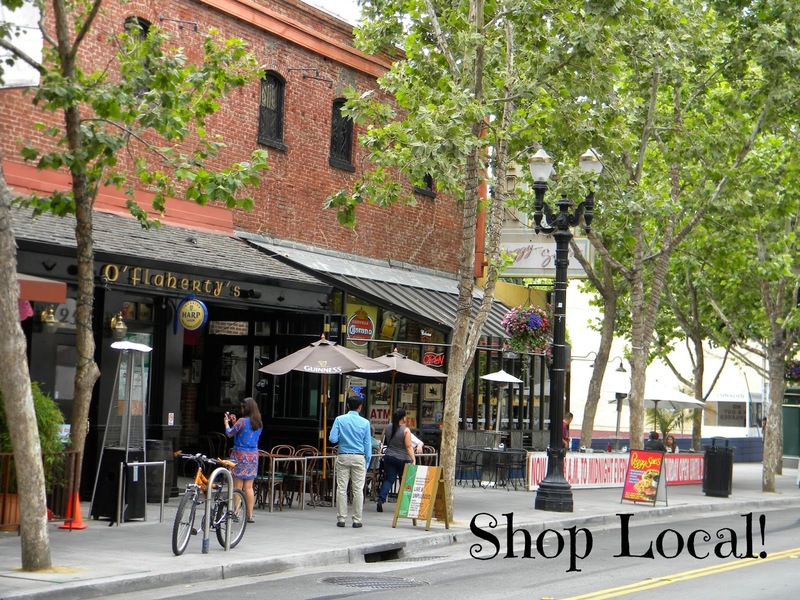 Save Our Environment ~ Shop Local!